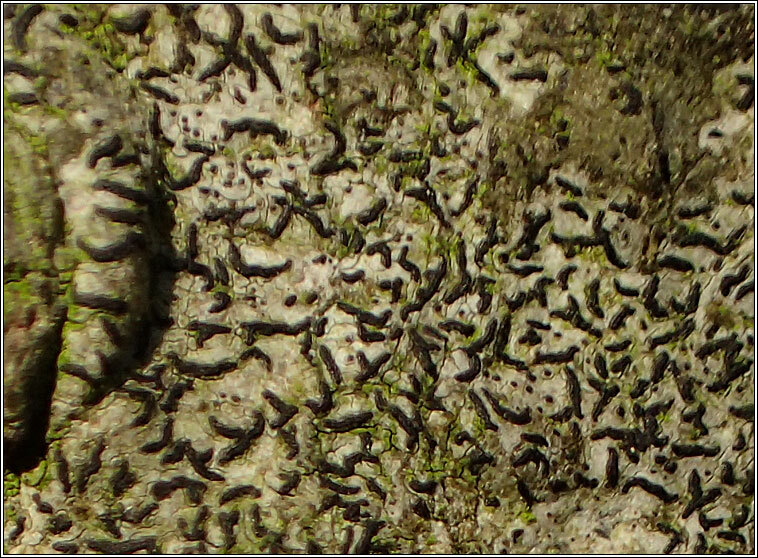 Lichenicolous on thallus of Graphis scripta. Frequent in W Scotland, scattered records from elsewhere in Britain and Ireland. 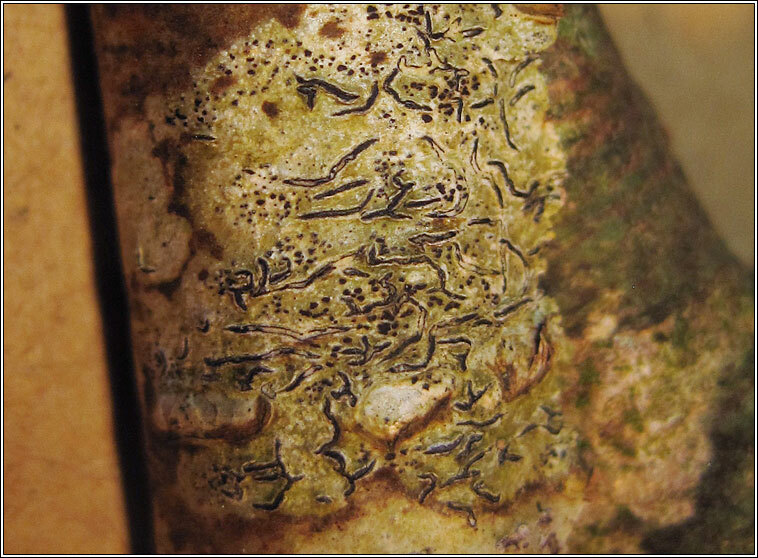 Thallus absent, scattered red to dark brown, rounded, elongate or fleck-like apothecia developing below the bark and then erupting through host thallus. 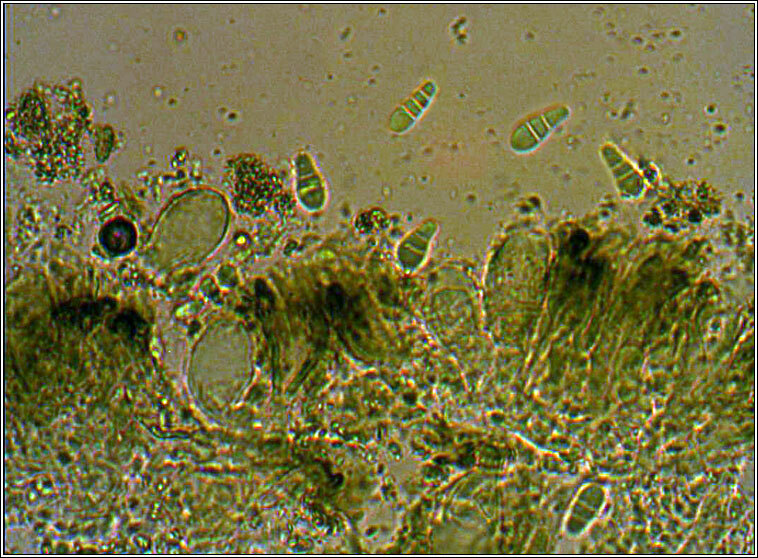 Spores 2-3 septate, upper cells enlarged, (13-)14-17 × 4.5-5.5 µm. 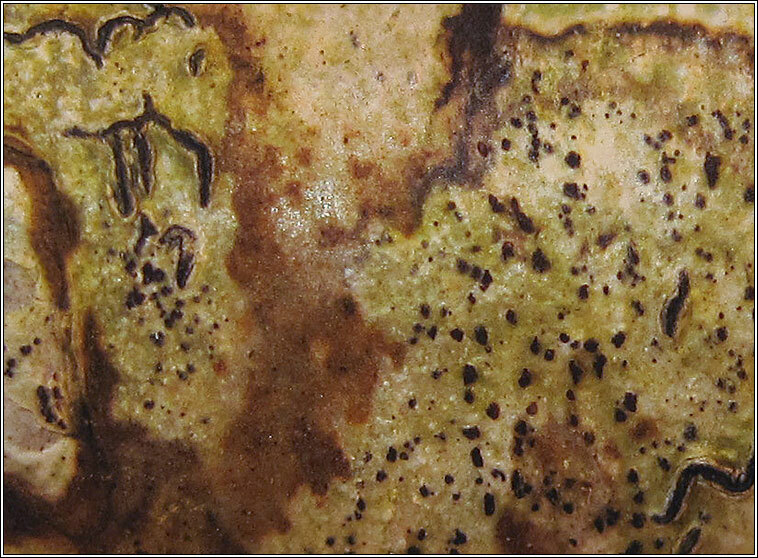 Initially smooth and colourless, becoming brown warted. 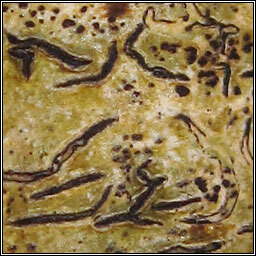 Micro photo below.